With an off-road attitude and smooth on-road characteristics, the AMP Terrain Attack A/T is the ultimate adventure tire. 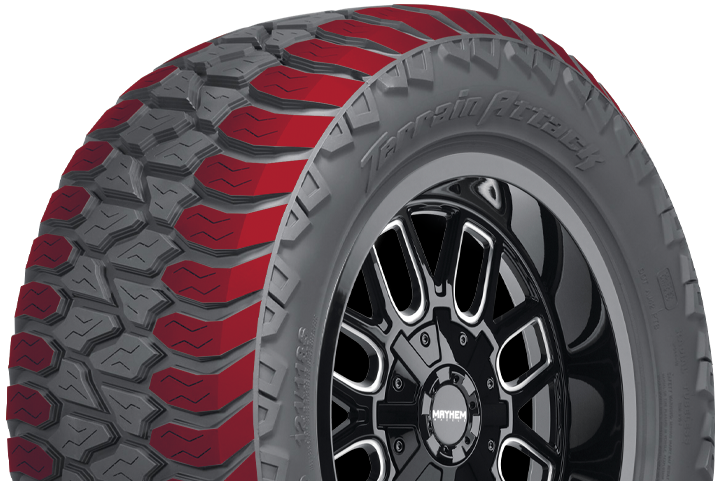 The performance tread design features a multi-block pattern that delivers stable control in a wide variety of environments and terrain. 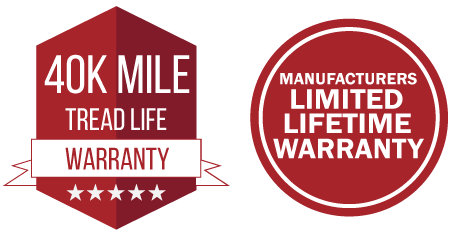 With a large selection of sizing and a 40,000 mile warranty, let the Terrain Attack take you on every journey. 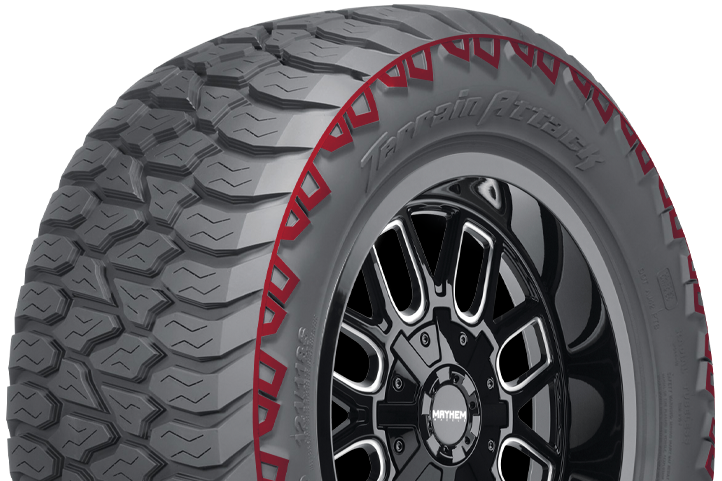 Unique multi-block tread design ensures smooth ride quality along with superior off road handling and grip. 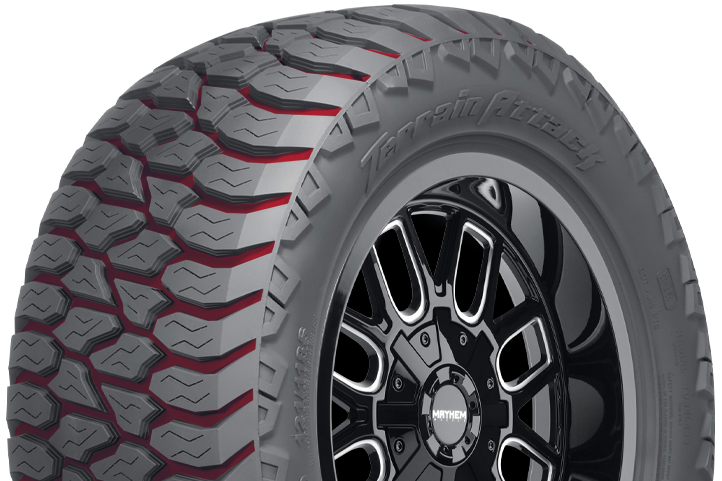 Sidewall designed with dual variation lug technology for greatly improved traction in all environments and weather conditions. Deep, stepped tread blocks channel dirt, mud, snow, slush and water away from the tire in all weather conditions.